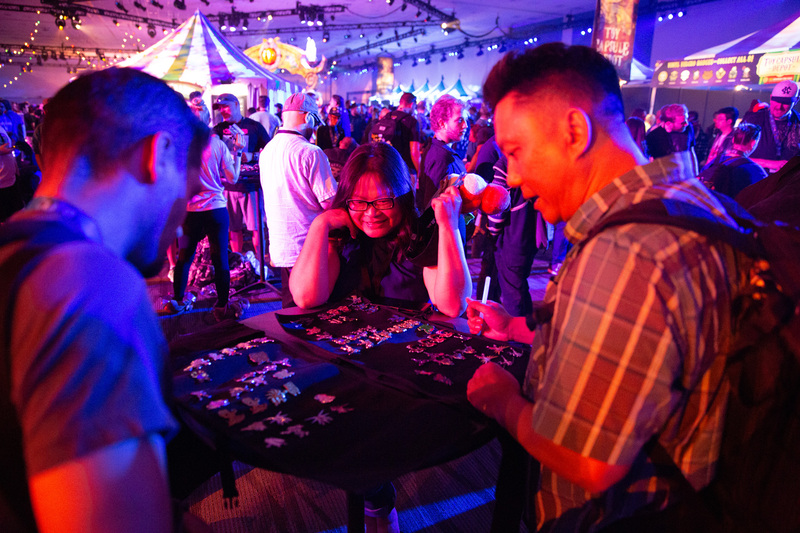 BlizzCon is in full swing, and that means big announcements, exciting esports matches, and plenty of panels.But if you venture upstairs to the mysterious Darkmoon Faire, you’ll find yourself in the midst of a legendary BlizzCon tradition: pin trading! 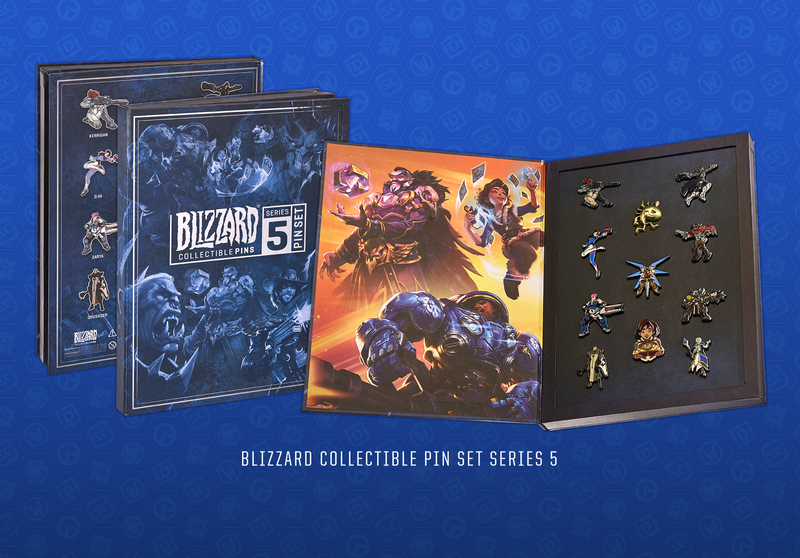 There are more than 250 unique Blizzard Pins of varying rarity to collect. 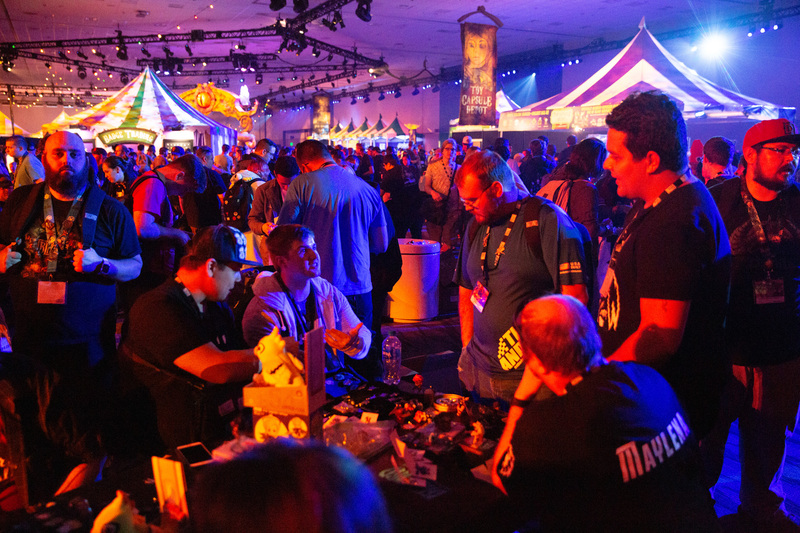 Adventurers and traders have spent years searching for missing treasures to complete their collections, and each BlizzCon, they gather at the Darkmoon Faire to display their wares in hopes of scoring the perfect trade. Equipped with a modest inventory of five pins, I pulled up a chair at the Blizzard Bazaar—the large “open trading” area at the Darkmoon Faire—to learn more about these treasure seekers, and to try my hand at trading. I sat down next to a veteran trader named Crystal, introduced myself, and told her about my quest. Crystal had been trading pins since Series 1 released in 2014, and has attended all but two BlizzCons. I was in the presence of a legend! She told me how the first pin she ever pulled was a gold Nova, and how she turned that one pin into a complete set over the course of a few trades that weekend. If she could do it, maybe I could too. 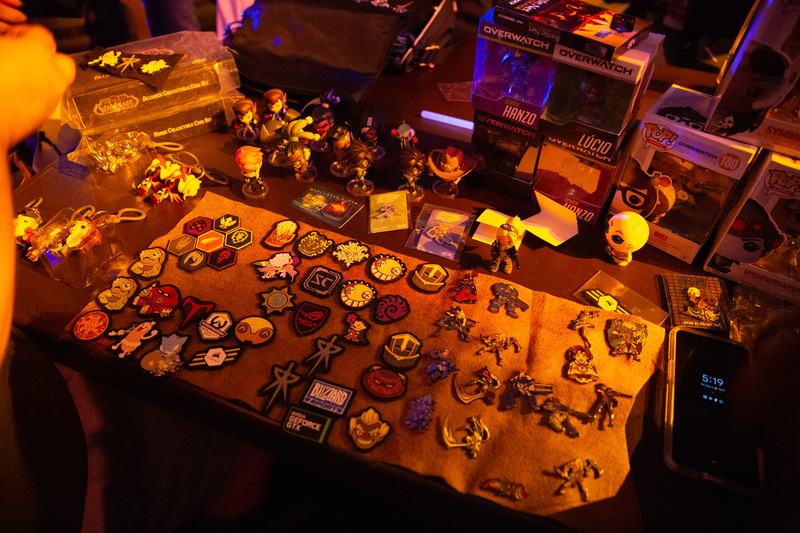 I spent the rest of Friday afternoon in the Blizzard Bazaar, getting to know my fellow traders and swapping pins. I somehow ended up with 12 pins, including a Kul Tiras pin I had been eyeing, but I also left with far more friends than I came with. I can’t wait to head back to the Darkmoon Faire—it just might be my new favorite place in Azeroth. 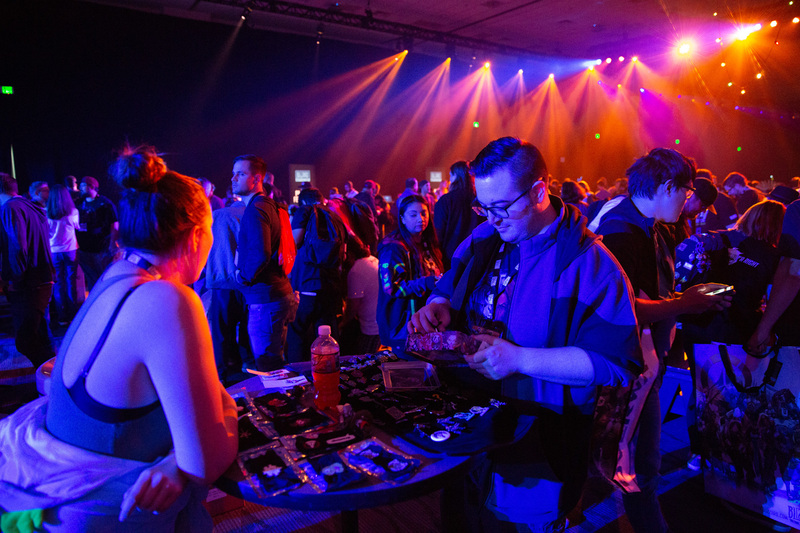 BlizzCon is about more than just celebrating our favorite games and entertainment experiences—it’s about coming together as a community, reuniting with old party members, and forging new friendships. 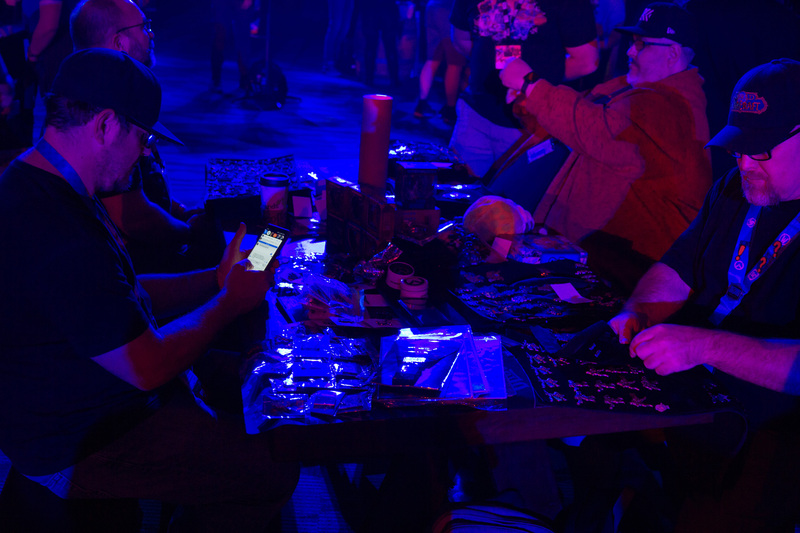 If you’re seeking elusive loot—or just a warm and welcoming community to be a part of—ignore the eyes that blink and stare, as they say, and stop by to trade pins at the Darkmoon Faire! 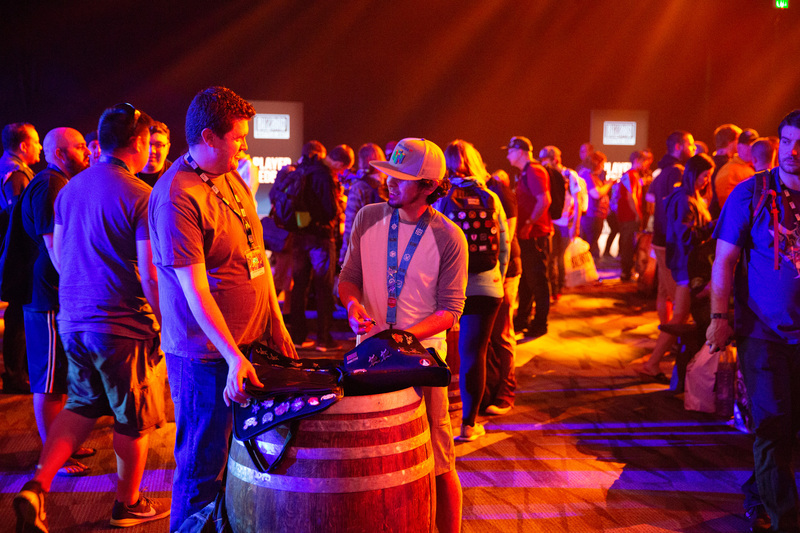 You’ll surely meet a few friendly faces and walk away with some sweet loot. If you want to get in on the action yourself, you can pick up a complete, limited-edition Blizzard Series 5 Pin Set or some pin packs at the Darkmoon Faire and get to trading. Happy hunting!